Once you buy a house, when does it become your home? The answer is once you start to decorate and put your personal touch on it. 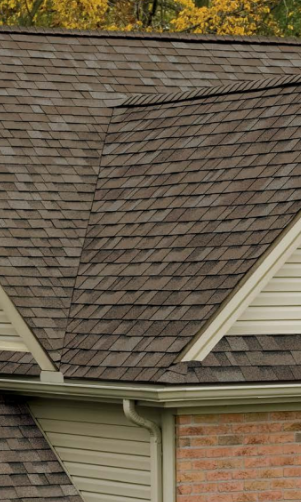 Choosing a new roof is your opportunity to make a major impact on the look of your home. Owens Corning has been a leader in the building materials industry for over 75 years. So you can be confident that your new roof will enhance and help protect your home for years to come. TruDefinition® Duration® Shingles with patented SureNail® Technology TruDefinition® Duration® Shingles feature our patented SureNail® Technology — a technological breakthrough in roofing that adds the strength of Triple Layer Protection® to your roof. TruDefinition® Oakridge® Shingles TruDefinition® Oakridge® Shingles feature the bold contrast and deep dimension of TruDefinition® color in a shingle that provides a beautiful step up from traditional three-tab shingles.